On April 25th I had the good fortune of organizing and participating in a conference jointly hosted by Baruch College (CUNY) and The Rubin Museum of Art. The theme of the conference, “Museums and Higher Education In the 21st Century: Collaborative Methods and Models for Innovation,” was the result of an on-going formal relationship between the two institutions. A detailed overview of can be found here, but the general idea of the project is to integrate the arts and humanities into the general curriculum of the college, with the Rubin Museum providing opportunities through collaborative working relationships. The goal is to view the museum as an extension of Baruch’s classrooms bringing with it additional resources for exploring new and innovative ways to enrich classroom experience. The Baruch College-Rubin Museum Project, the brain-child of Stan Altman, Professor in the Baruch School of Public Affairs, was established on the principle that exposure and participation in the arts enrich students’ college experiences and greatly enhances their abilities to learn, understand and function on a higher level. Cultural institutions are assets for all – the rich, the poor, the young and the old, and particularly to students challenging them to question, explore, and reflect on their own goals as citizens of the world. Stan’s idea was to use the arts as a means to access students’ true sense of self and identity outside of the traditional framework of the Art History Survey courses. Students enrolled in the Freshman Seminar are given a tour of the museum, which is led by peer-mentors – Junior and Senior students who have undergone an extensive immersion in the museum’s exhibitions and educational goals. Faculty who lead Freshman Seminar classes integrate this experience into the early weeks of each course through a series of short writing assignments. Each year, the project sponsors five or more faculty fellows through the generosity of the Shelly and Donald Rubin Foundation. These fellowships provide funds and time, two things almost always at a premium for professors, allowing for the development of curricula inspired by museum collections from inter-disciplinary perspectives. The Fellows for 2012/13 include professors from Mathematics, Sociology, Comparative Religion and Business and Career Planning representing Baruch College, The Borough of Manhattan Community College, John Jay and Hunter College, all part of the City University of New York system. All produced exciting projects blending the specifics of their discipline with the exhibitions at the Rubin Museum of Art. 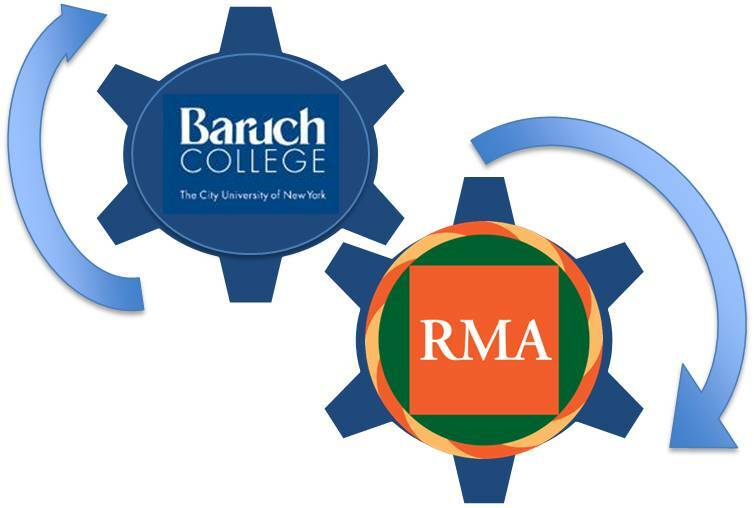 Last year, the funds from the Baruch College-Rubin Museum Project were used to support institutional partnerships between the Rubin Museum and four CUNY Colleges: Hunter, John Jay, Borough of Manhattan Community College and Queensborough Community College. The Project has also inspired other schools to partner with the Rubin Museum. For example, outside of the CUNY system New York University, St. Francis College, and The New School also have a productive relationship with the museum. But the project has also instigated partnerships between universities and museums outside of the New York City area. After a visit to the Rubin and a meeting with Stan Altman, myself (I was one of the first group of Fellows in 2010/11), Laura Lombard, Manager, University Programs and Partnerships and Marcos Stafne, then Director of Education and Visitor Experience at the Rubin Museum, and President Donald Christian and Professors Elizabeth Brotherton and Sarah Wyman from the State University of New York (SUNY) at New Paltz discussed ways to develop a similar project between SUNY New Paltz and the Samuel Dorsky Museum of Art located on their campus. This interest in a collaborative approach between museums and institutions of higher education led to the development of the recent conference. The conference began with an overview of the trials and tribulations of the three-year journey for the Baruch-Rubin Museum Project. Stan, Laura, Marcos and I gave brief talks on the successes and challenges of implanting the program at Baruch across three diverse schools in such a short period of time: The Weissman School of Arts and Sciences, the School of Public Affairs, and the Zicklin School of Business. The second panel, “New Pedagogies Using Museums in the Curriculum,” provided examples of how four Fellows successfully integrated the Rubin Museum into their course curricula. I addressed how I reach the reluctant learners (a subject of a future blog post) – those students who are hell-bent on getting through my class absorbing the least amount of content possible and into the Zicklin School of Business) after which they will make double my salary by age 25). Dr. Laurence Kirby, professor of mathematics at Baruch College presented “Gateways to the Palace of Symmetry: Exploring Mathematics Through the Mandala.” He was followed by Dr. Susan Opotow, from John Jay, and one of her former students, Michelle Tsang, who presented “Connecting the Study of Sociology with Exhibitions of Himalayan Art” and Dr. Michelle Wang, from BMCC (Borough of Manhattan Community College) who described “Enhancing Self-Awareness: A Study of Integrating Himalayan Art in a Career Planning Class.” These talks were so beneficial to me as an art historian inspiring news ways in which to interact with art objects in a museum. Hearing about how different disciplines implement the same activity was exciting and furthered my conviction that a collaborative practice is a necessary component in strengthening and invigorating an established teaching practice. Other panels included “Utilizing Museums for University Curricular Activities,” which featured Dr. Dara Meyers-Kingsley, Director of the Muse Scholars Program at Hunter College. Kingsley-Meyers outlined new initiatives with museums, including the Metropolitan Museum of Art and the Asia Society, for the Muse Scholars and other programs at Hunter College. Robin Katz, the Co-Director of SAFA at the Brooklyn Historical Society, led the audience through some exciting ways to engage both students and faculty with archival material with further testimonials given by professors from Long Island University, St. Francis College in Brooklyn and The New York City College of Technology. Dr, Leonie Hannan, from University College London, presented “Museum Objects and E-Learning” followed by Janice Robertson, Pratt Institute, who addressed the value of Voice Thread for close-looking exercises. We were pleased to host Drs. Beth Harris and Steven Zucker, co-founders and directors of Smarthistory for the keynote address. Beth and Seven gave a stimulating talk on the value of open education learning. The conference closed with the last two panels introducing other success stories of museum and university collaboration and museum education and university student experiences. Arts at Michigan program director Debra Mexicotte described a study she has been undertaking for three years on co-curricular arts engagement in the college years and what role that plays in student development. The exchange of ideas was phenomenal. Participants were busily scribbling notes during the talks and the amount of networking during the day was exciting. We all came away from the day exhausted but filled with a new understanding of the value in museum partnerships: direct access to objects and experts; an expansion on a subject or concept out of the limiting classroom experience; connections made across disciplines; the application of artistic practice and academic practices in other fields; an introduction to career opportunities; and professional growth for faculty across the curriculum. No matter how large a town or small a museum, these types of collaborative approaches can only serve to strengthen student and faculty experience with the arts.